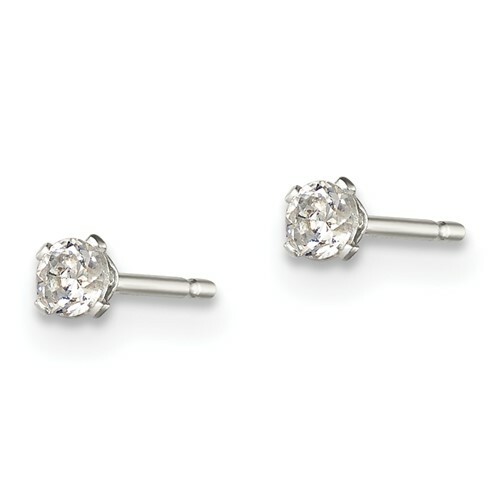 These very small cubic zirconia stud earrings are perfect for girls from 5 to 8 years old. 2.5mm cubic zirconia gemstones. Polished sterling silver. Four prong post earrings. Weight: 0.25 grams. Made in USA.